At center stage and behind the scenes, NATO’s war for Kosovo is pressing the edges of modern “information warfare.” Through the early phases of the conflict, NATO concentrated its attacks on command-and-control centers, power stations and even propaganda outlets. Those attacks included sophisticated electronic assaults on computers directing Serb air defenses and so-called “soft bombs” to short out electrical lines. But there are new indications that President Bill Clinton might be opting for a far more expansive high-tech “info-war” assault to punish the Yugoslavian government, its leaders and the nation’s economy for atrocities in Kosovo. In such an electronic offensive against Serbia, U.S. intelligence has the secret capability to go much further than sporadic battlefield computer hacking and causing black-outs. U.S. info-warriors have the capacity to plant viruses in civilian computer systems, alter bank records, and generally wreak havoc on Yugoslavia’s infrastructure, from disrupting electrical utilities to shutting down the phone system. 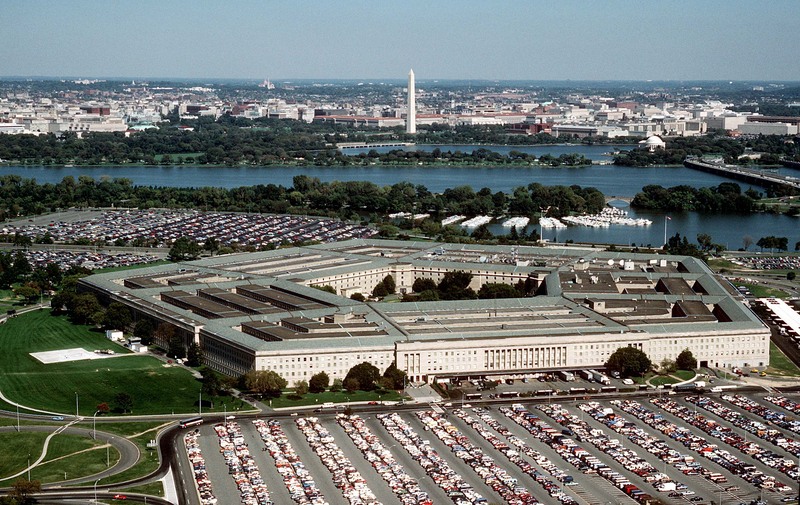 U.S. government hackers could target government bank accounts used for purchasing military supplies or the personal accounts of Yugoslav leaders. Funds could be deleted electronically to frustrate the prosecution of the war or to punish selected Yugoslav leaders for “ethnic cleansing” in Kosovo. Intelligence sources say the U.S. forces in the Balkans were ill-prepared for this broader info-war when the NATO bombing started on March 24, 1999. One reason was the difficulty of gaining a NATO consensus for exotic tactics. Later, expert teams were mobilized and tasked to the Yugoslav theater. 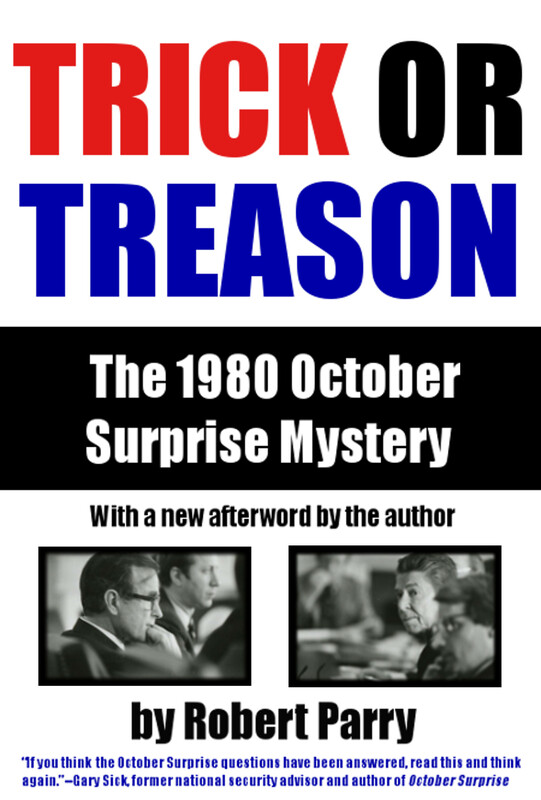 Then, after NATO approved expanded operations, the U.S. military began pulling surprises out of its technological bag of tricks. 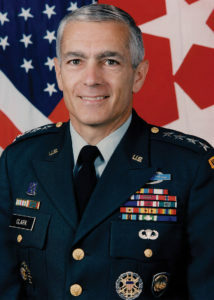 Gen. Wesley Clark, Supreme NATO commander during NATO’s bombing campaign against Yugoslavia. The first widely noted application of classified techno-warfare occurred on May 2, 1999. A “soft” bomb detonated over a Yugoslav electrical plant, spraying carbon filaments over the power lines and causing short-circuits that blacked out most of the country for seven hours. Government sources say that President Clinton now is poised to go further in using some of the Big Brother capabilities that are featured in Hollywood thrillers, such as “Enemy of the State,” though the techniques are rarely acknowledged officially. The sources said Clinton has authorized secret intelligence operations against Yugoslavia, but those sources were unwilling to discuss any details about the high-tech strategies. Countries, such as Yugoslavia, with relatively primitive computers running their economy are considered especially vulnerable to info-war attacks, according to experts in these strategies. Some info-war advocates also argue that computer sabotage is a far more humane way to wage war than the current practice of dropping bombs and firing off missiles. These advocates note the obvious: that electronic attacks do not carry the immediate physical risk to civilians that explosives do. 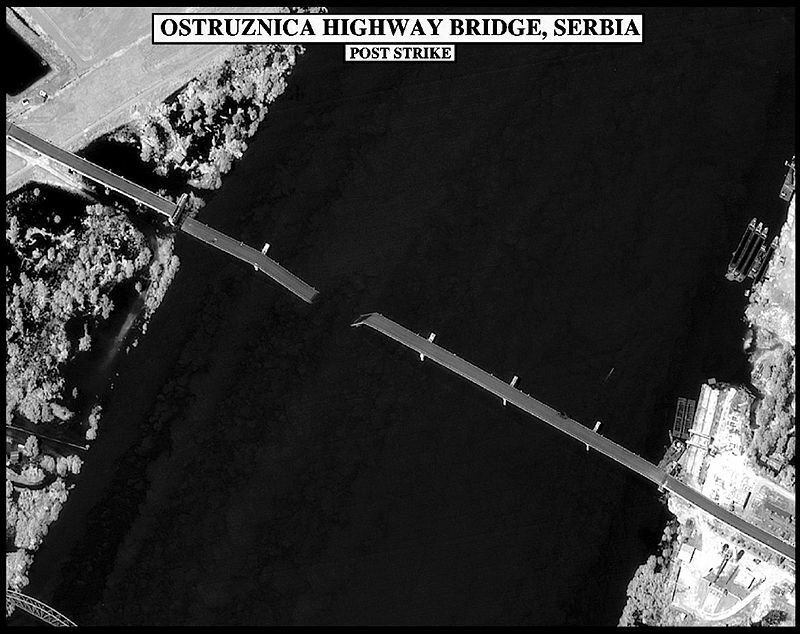 NATO image of its destruction of the Ostruznica highway bridge hit during the bombing campaign against Yugoslavia. But there are ethical concerns, too, about attacking a nation’s computer infrastructure and severely destabilizing its economy. Plus, there are fears that a computer virus or a similar tactic could backfire and infect computers far beyond Yugoslavia. 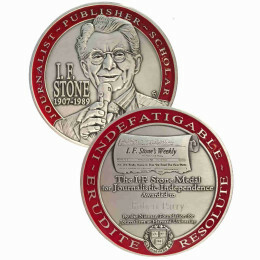 In a rare media report on the sensitive topic, The National Journal recently observed that “relatively modest questions [have been] raised here at home by the United States’ undoubted ability to wage offensive information warfare by hacking into foreign computers to pilfer secrets, move funds, corrupt data, and destroy software. While skirting clear confirmation of a U.S. offensive info-war capability, American officials occasionally do discuss info-war developments in the third person, as if the United States were not a participant in this new arms race. Left unsaid in Tenet’s statement was that the U.S. government, with the world’s most powerful computers and the most sophisticated software designs, has led the way both in offensive info-war strategies and defensive countermeasures. Other times, when info-war gets mentioned in the American news media, it is in the context of a real or potential threat from an “enemy” seeking to damage the United States and its allies. 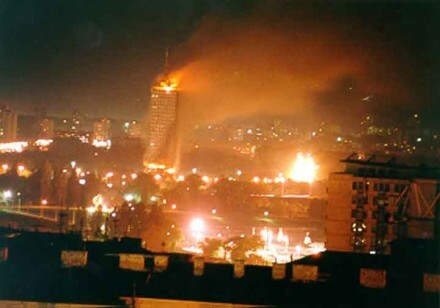 On March 31, 1999, one week into NATO’s air war, NATO’s spokesman Jamie Shea prompted “info-war” alert headlines in U.S. newspapers when he complained that “some hackers in Belgrade” had caused “line saturation” at the official NATO Web site. The U.S. military demonstrated the revolutionary potential of information warfare during the Persian Gulf War in 1990-91. With air attacks and technical means, U.S. forces destroyed Saddam Hussein’s command-and-control structure even before concentrating on his tanks and troops. 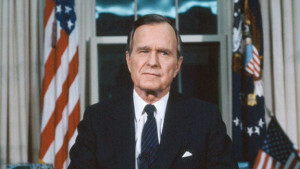 President George H. W. Bush addresses the nation on Jan. 16,1991, to discuss the launch of Operation Desert Storm against Iraq for its invasion of Kuwait. Scattered journalistic reports at the time noted U.S. success in planting viruses in Iraqi military computer systems. Since the Gulf War, however, Washington apparently has applied info-war techniques sparingly. Sources say covert info-war attacks have been limited to such national security concerns as disrupting the financial operations of some South American drug cartels. In one case study of a CIA high-tech “dirty trick” from the mid-1990s, U.S. intelligence reportedly learned of a drug lord’s plans to bribe a South American government official. After the money was transferred, the spy agency accessed the bank records and remotely deleted the bribe. Besides stopping the bribe, the money’s disappearance spread confusion within the cartel. The recriminations that followed — with the corrupt official and the drug lord complaining about the lost money — led eventually to the execution of a hapless bookkeeper, according to the story. The primer also gives some hints about the disruptive strategies in the U.S. arsenal. “Network penetrations” include “insertion of malicious code (viruses, worms, etc. ), theft of information, manipulation of information, denial of service,” the primer says. But the booklet also recognizes the taboo nature of the topic. “Due to the moral, ethical and legal questions raised by hacking, the military likes to keep a low profile on this issue,” the primer explains. “Specific DOD references to viral insertions are scarce” in public literature, the booklet observes. The primer outlines other Buck-Rogers-type info-war weapons, such as electromagnetic pulse [EMP] bombs. “The high-energy pulse emitted by an EMP bomb can temporarily or permanently disable all electronics systems, including computers, for a radius of several kilometers,” the manual says. The manual stresses, too, info-war’s potential for high-quality “psyops and deception” to confuse and demoralize a targeted population. “Future applications of psyops may include realistic computer simulations and ‘morphed’ imagery broadcasts of bogus news events,” the booklet explains. Some military theoreticians call the info-war capabilities “a Military-Techonogical Revolution,” a phrase reserved for major breakthroughs such as the discovery of gun powder or the development of strategic bombing. But the manual observes some dangers. The info-war attacks, especially viral infections, could backfire and harm U.S. interests. 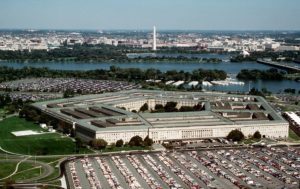 More recent internal papers indicate that in the past year, the Pentagon has begun concentrating on how to maintain its dominance in the info-war field. Rand’s National Defense Research Institute drafted a report entitled “Strategic Information Warfare Rising” and suggested to the Pentagon several scenarios for managing and sharing “strategic information warfare” [SIW] capabilities with allies. One scenario holds that the United States “overwhelmingly dominates the SIW warfare” with “the world’s best offensive SIW tools and techniques, capable of penetrating any other country’s SIW defenses.” The United States could then pick which allies would come under its defensive umbrella. Other insights into U.S. info-war capabilities can be found in papers of military intelligence specialists from other nations. In articles in China’s Liberation Army Daily, Cols. Wang Baocun and Li Fei expressed alarm about the West’s impressive lead in sophisticated information warfare. It is not clear whether such “platoons” formally exist in the U.S. Army — though obviously the specialty does. It also is too early to tell whether such information warriors will play a significant role in the war for Kosovo. But, depending how aggressive President Clinton chooses to be, the Balkan war could turn into an important testing ground for these new offensive tactics — the conflict could become what the president might call a warfare bridge to the 21st Century. Atrocities in Kosovo? Is this irony Mr Parry, which atrocities are you referring to? Do not you see how circular your logic was? You wrote in this old article that Clinton deployed information warfare, but you call Serbian media “propaganda outlets” and the reason for the military intervention, “the atrocities in Kosovo” invented by the same information warfare. Information Warfare is embedding journalists into military units and CIA professionals into US media organizations during military “campaigns”. 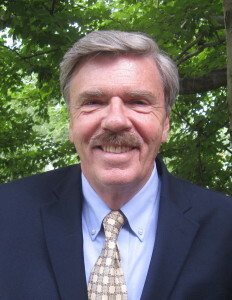 I wasn’t aware that you wrote this article Robert Parry. I hadn’t found Consortium News yet. Your prescience is truly remarkable! I remember how the American media portrayed the response of the locals in Kosovo to the “heroic” American troops when they marched in to occupy Serbia after the surrender. We had purportedly “saved” the Kosovars from genocide at the hands of Serbian barbarians, and they were ever so grateful to us, throwing rose petals before our Humvees and troop carriers. We also had a “streak” going, having “kicked the Vietnam syndrome” (according to Bushdaddy) after needlessly massacring Saddam’s fleeing troops. We also got to take more target practice using depleted uranium projectiles–on civilians this time. It was almost like a scientific experiment, showing that such weapons were like “two mints in one”–they were both armor piercing explosives to immediately kill soldiers and left residual toxins in the environment (the teratogenic and carcinogenic U-238) which demoralized the affected civilians over a prolonged period. A floorwax AND a desert topping! How wonderfully American! There must still be hundreds or thousands of teenagers in Serbia who will curse Bill Clinton’s name until they die of their affliction. And now they get to listen to his shrieking wife say why more foreigners have to suffer and die because freedom and democracy. Now Serbia’s own leaders make the final sacrifice of their people’s economic and financial health on the altar of the IMF and its NATO enforcers. Such a wonderful thing this American hegemony, er, I mean democracy.